If you are a minimalist and you are looking for ways to save money and earn extra cash, then the articles and the specific sort of content put up by The Penny Hoarder is for you. There an important question we should ask ourselves: Is the Penny Hoarder legit or they’re going to cheat you?! Continue reading my honest Penny Hoarder review to find out all the truth about this program. 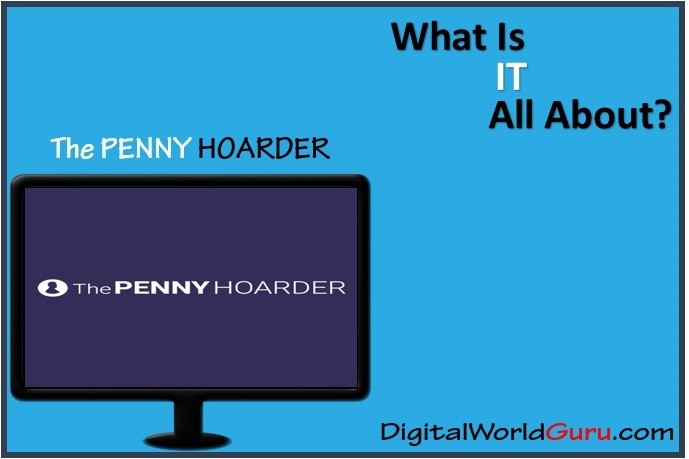 What Is the Penny Hoarder? 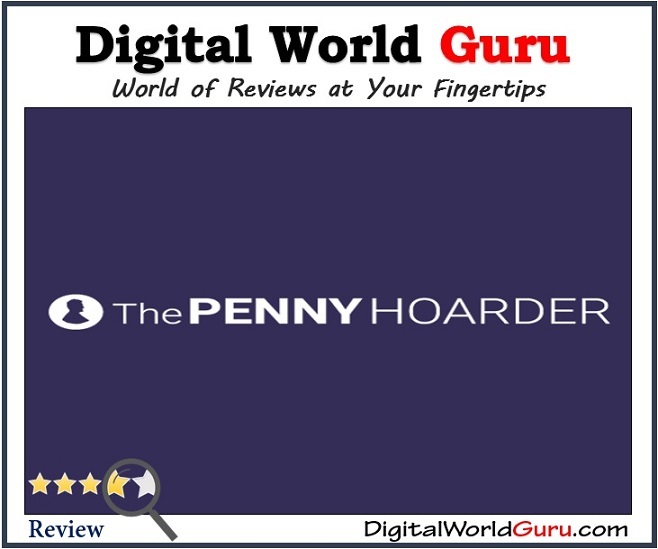 The Penny Hoarder is a privately-owned personal finance website that is dedicated to helping their readers live a simpler life with a more economical approach. The Penny Hoarder is owned by Taylor Media and was established in 2010 by Founded by CEO Kyle Taylor. The Penny Hoarder publishes fact findings and researched contents on how people can make and save money. They provide materials like news coverage, personal stories on people’s journey to earning more and original reports with personal finance angle. The focus of The Penny Hoarder is on reaching readers who make less income and may feel excluded by other finance publications. Everything on this website is always updated, and hidden opportunities are posted on the website which testifies to the amount of research put into it. How Does the Penny Hoarder work? The Penny Hoarder offers facts and research for people who are looking to gain more money on the side also posting some of their own money-making opportunities on their website. The website post more than 20 articles per work. 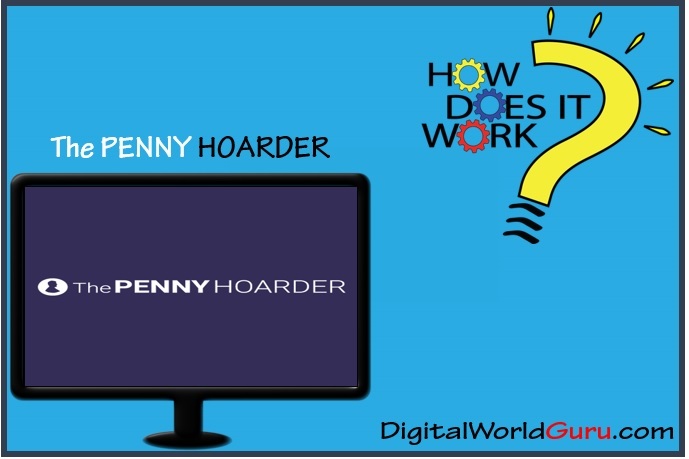 The Penny Hoarder consists of seven sections which are ‘Make Money,’ ‘Deals,’ ‘Food,’ ‘Smart Money,’ ‘WFH,’ ‘Life’ and ‘Academy.’ Apart from written articles, the website also provided original videos, photo essays, and infographics. The first section, Make Money is divided into two parts, Side Gigs, and Career. The Side Gig is filled with various articles that talk about different jobs that can be done on the side while doing other jobs. It talks about money making opportunities providing information on survey websites, writing contests, writing jobs from companies like Yelp and many more. Articles are explicitly written by people who have gotten beautiful jobs, sharing their experiences and giving information on how to get the same jobs. The Career section contains a lot of contents on things such as sewing where a specific career leads you, how to negotiate a salary, setting up a quality LinkedIn profile and so on. The Deals section is divided into Freebies, Class-action settlement and coupons section. This section contains articles on how to get freebies, coupons and so on. This section gives you information on some free cash that you might be missing from online e-commerce companies and any other similar company. The Food section is divided into Food Deals, Groceries, Recipes. This section contains tips and articles like food deals such as how to earn money for buying food, how to save money in the kitchen, how to save money while grocery shopping, recipes that taste well and cost less, etc. Smart Money section is divided into Debt, Budgeting, Bank Accounts, Retirement, Scam, and Taxes. This section contains articles and tips on how filing for bankruptcy can affect your life, strategies for paying off debts, tips on budgeting and saving, what type of banks to have accounts with and much more. Life section is divided into six parts which are Home, Parenting, Wellness, Travel, College and Cars, and Transportation. These sections provide tips and articles on subjects like How to budget at home, steps to take in raising kids, tips on making money while losing weight, etc. The WFH (Work from Home) section is divided into Browse WFH Jobs and Guides and Resources. Here, you can browse for WHF jobs that can be applied for at any moment including tips, tricks and also researched content on gigs on the WFH bases. Lastly, the Academy section gives you training on things like learning how to build a solid financial foundation with credit cards, how to get a mortgage and buy a home, how to budget for the future, etc. Can You Make Money with The Penny Hoarder? No, you cannot make money with The Penny Hoarder. The website just gives information, insights, and tips on earning extra money, saving and budgeting. Except you are quite always online to pick of side gigs, those might fetch you something. You may choose to work as a freelance writer for them, but the process is a highly competitive process. Although people pick up a bit here and there from the website, you can’t call it a money-making platform. There is no guarantee that you can get your dream job from learning about them on the site. The Penny Hoarder is not a money-making site, but as a personal finance information website, it is filled with a lot of fantastic information. Offers tips and tricks on saving and making money. Provide you information on job opportunities both working from home and side gigs. Give you tips on saving money while living a healthy life. Gives you an opportunity to make money by being a contributor. Offers advice on career and career opportunities. Offers training on budgeting and saving. Provides information on how to can get freebies and coupons. Does not offer consistent income for freelance writers as your articles will not be accepted every time. Penny Hoarder tries to provide making money opportunities rather than giving you practical ways so it can be a good source to find new options for making money online. You can use information available on the website to find less-known opportunities and although it has some ways to make money online but none of them are valuable. I personally gave Penny Hoarder more than one try before and it’s sad to say that it never caught my attention in my past tries. I’ve found some ways to earn a few extra cash through the Penny Hoarder but do not think that I’m talking about serious online business opportunities. Among all introduced ways of earning online, I still think that writing articles for The Penny Hoarder itself is the best way to make some money. They really pay well to their official and freelance writers but the issue is that if you want to become one of their writers, you have a hard job because they normally have the long-term contract with writers so you need to be really unique and stand out if you want to get on the train. Anyway if you can prove your writing skills to them, you can have big chance to participate with them on a long-term basis. Although they’ve tried to pick up the best writers and they’ve made a professional team of writers now but do not forget that those freelance writers are people like me and you and it’s not rare to be one of them. Final Word – Is the Penny Hoarder A Scam? No, The Penny Hoarder is a not scam. They are more of a personal finance blog than a money-making site. You can only gain the financial freedom promised by them by practicing their tips on your own business. The website has millions of subscribers, so their jobs, side gigs, and writing are highly competitive. Is The Penny Hoarder You Best Choice? Keep in mind that I only marked it as a legit and not all legit opportunities are valuable. If you want to become a millionaire or even make enough money for paying your bills through The Penny Hoarder then forget about what I’ve told you in the above paragraph. In that case, I don’t recommend The Penny Hoarder and I remove it from my list. 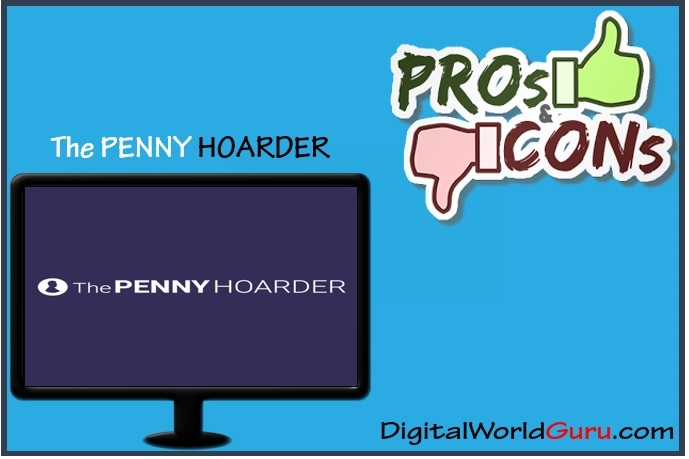 Without a doubt, there are many methods for making money that can be found in the Penny Hoarder, some of them are useful but most of them are worthless. Although it’s possible to make some money here and there with what you will leave over there you will stay at this level forever and never put yourself in a better situation. This website is similar to The Bauman Letter but that I’ve reviewed recently but it has some main differences which do not let me put them on the same box. I like The Penny Hoarder if I consider it just as a source to improve my current knowledge but when I look at it as a platform that can make me full-time income… no, I never choose it because I have several better options which are more valuable than The Penny Hoarder and more importantly can put me on the right way of making more than full-time income online. You can read my Best Recommendation section below to see what I’m walking about. In my opinion, The Penny Hoarder is another personal finance website that promises will give you a lot of tips and tricks to become better in your own business. If you are looking for a money-making website, this platform is definitely not for you.